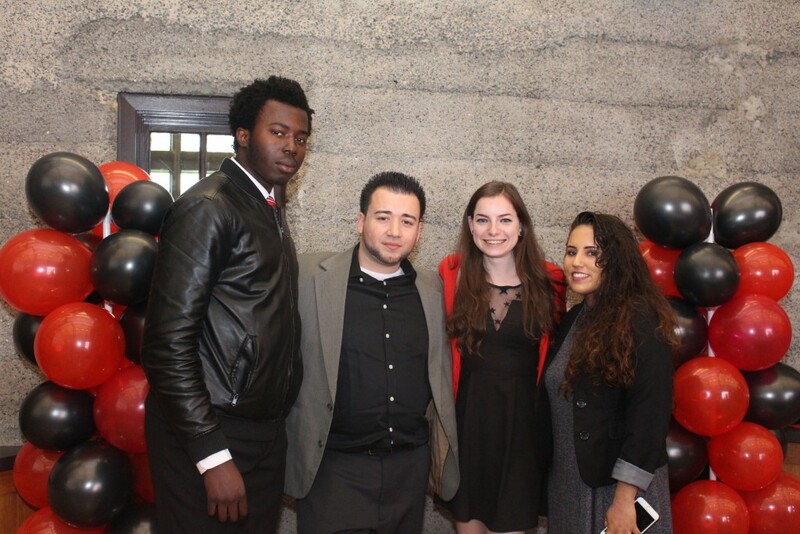 The colors of red, grey and white filled the Dave Gibbons Conference Center of Kean Hall on Monday, May 2, 2016. The sounds of classical music welcomed the members of Jumpstart to a ceremony of appreciation but as the room filled, memories spilled, and those involved became overwhelmed with a sense of pride for what they do. “You believe in the power of Jumpstart to impact a child’s life,” read the You Know You’re In Jumpstart When… checklist provided in the center of every table. Jumpstart is a national early education organization that recruits and trains college students to serve preschool children in low-income neighborhoods. 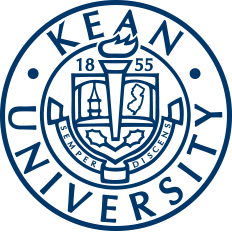 This program partnered with Kean University in the 2012-2013 academic year; since then it has changed the lives of over 12,000 preschoolers nationwide. According to the organization’s website, in low-income neighborhoods, children starting kindergarten are 60% behind than those from affluent communities. 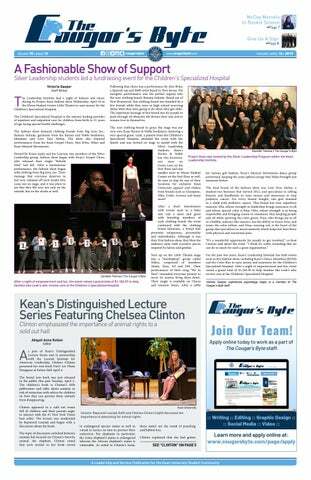 As Jumpstart Site Manager, Gina Miseo addressed her corps members, glowing with excitement over her first successful year at Kean University. Within the 2015-2016 academic year, the corps members served 135 children of Elizabeth throughout nine classrooms. 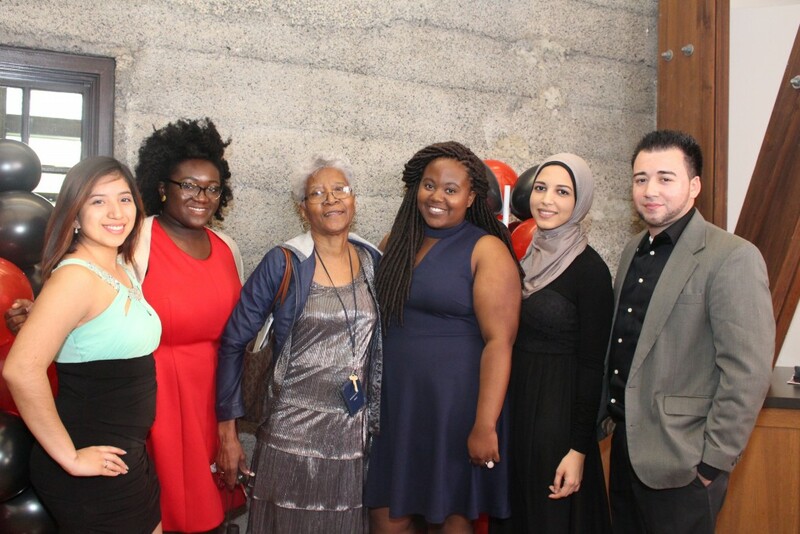 Among the guests present were teachers from the schools they assisted, Ms. Shaw from School 2 and Ms. Reid from School 22, strengthening the idea that a difference can be made by college students outside of campus. The dinner carried on with a sense of elegance as returning corps members were recognized for continuing to be heavily involved. The theme of the event was that of the Academy Awards, with members receiving Oscars for their achievements. A variety of acknowledgments such as “best musical performance” (for those who sang the most to the children), “best supporting role” (for those who always went the extra mile to help out), and “best set design” (for those who had the most useful classroom materials). The room had a strong sense of unity and devotion across all members of Jumpstart. Jumpstart has five core values: learning, determination, connection, joy and kindness. In order to commemorate their efforts even further, corps members were awarded for embodying specific core values. But the two major awards at every end-of-the-year ceremony for Jumpstart are Jumpstar of the Year and Corps Member of the Year. These awards are reserved for those who go above and beyond all year in order to change the lives of children. 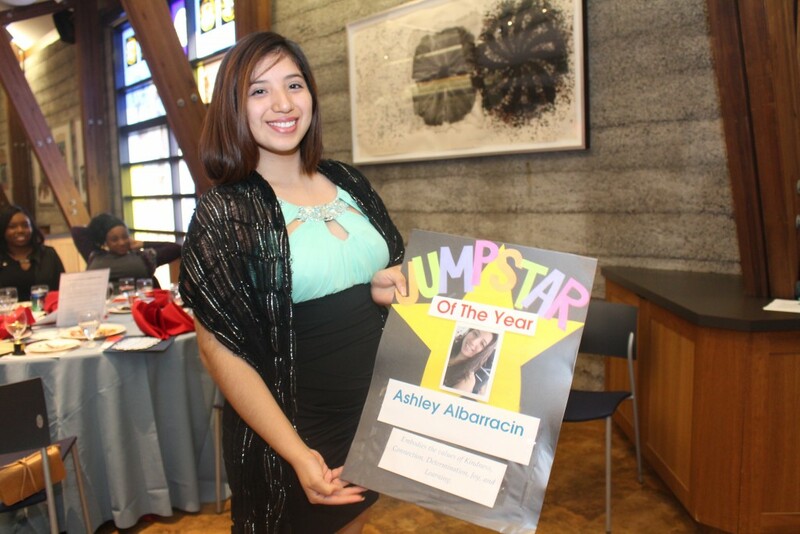 Two returning members, Ashley Albarracin (Jumpstar of the Year) and Megan Collante (Corps Member of the Year), took these titles respectively. To conclude, everyone shared stories and expressed their feelings towards the program. One team leader, Layla Taqi, got emotional recalling all of her hard work for future generations. One of her preschoolers was about to be classified as mute but within weeks, she began to express an interest in reading, writing and her future looks bright. “It really is worth it to see the children progress right in front of your eyes,” said Taqi.